Stephen Marsh is an Associate Professor and computational philosopher with extensive experience in the application of human social norms such as trust, forgiveness and wisdom to computational and information systems. He is the inventor of the concepts of Computational Trust and Device Comfort, and the co-originator of Slow Computing. He works primarily towards the empowerment of people through enabling socio-technical systems to enhance awareness, give advice, and provide encouragement. His work has been applied and published in areas as diverse as social psychology, information systems, HCI, CSCW, AI, Information Security and Mobile Device Awareness. Prior to being with UOIT, Steve worked within Canadian Government Laboratories (NRC and CRC) as a research scientist for 16 years, and before that he was a Lecturer in Computing Science at the University of Stirling from 1993-1996. He has been a visiting scholar at the University of Glasgow and Northumbria University in the UK, and a Mercator Fellow at Darmstadt Technical University. 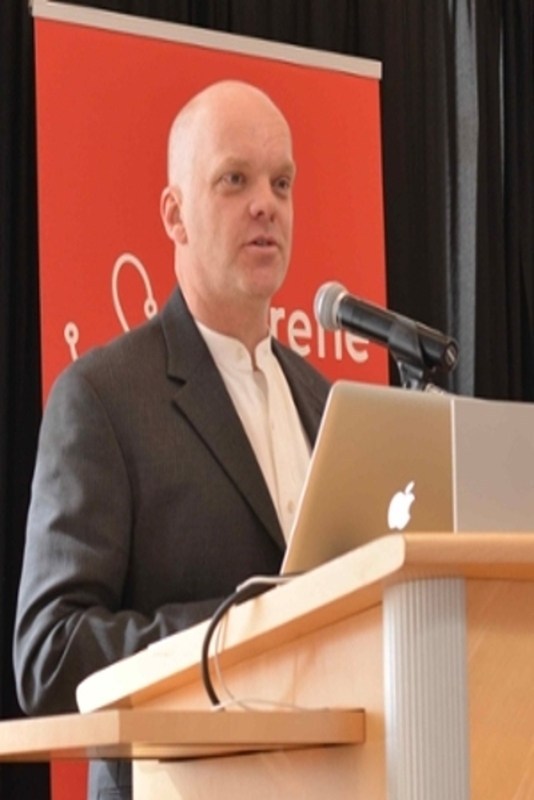 He has been an adjunct professor at Carleton University (Systems and Computer Engineering and Cognitive Science) and the University of New Brunswick (Computer Science) as well as UOIT (Business and Information Technology). Steve has supervised to successful completion PhD, Masters and Undergraduate projects in areas such as Human Computer Interaction, Trust Management, Intrusion Detection, Device Comfort, Privacy, Information Security and Multi-Agent Systems. He is the author or co-author of numerous conference, journal, and book chapters and the odd patent. Steve is the Chair of IFIP Working Group 11.11 (Trust Management) and Canadian Delegate to IFIP Technical Committee 11 (Security and Privacy Protection in Information Processing Systems). Canadian delegate to International Federation for Information Processing Technical Committee 11: Security and Privacy Protection in Information Processing Systems. Adjunct Professor at the University of New Brunswick (Computer Science). Adjunct Professor at Carleton University, Ottawa (Systems and Computer Engineering and Cognitive Science). Computational trust: Formal models, standardization and application. Infrastructure protection based on trust and comfort reasoning methodologies. Mobile device security and device comfort. Regret management, reputation and trust management systems, trust and distrust in security settings. The application of social collective knowledge to information management, network and communications security, and critical infrastructure protection. Visit Dr. Marsh's Google Scholar page. He is always excited about new ideas, and loves to learn from others, big and small, two-, four- or many legged.